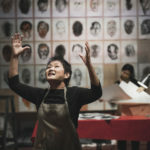 All eyes are on Cherilyn Woo in her solo directorial debut for Nine Years Theatre (NYT), FAUST/US. It’s the first time in the Mandarin theatre company’s seven-year history that someone other than Artistic Director Nelson Chia is at the helm of a production. 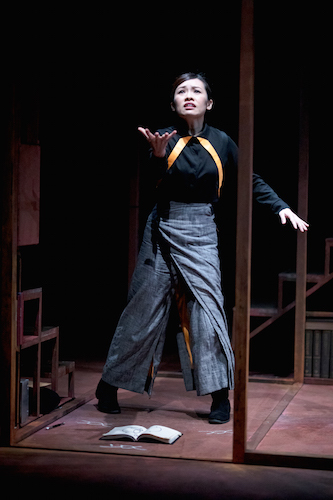 In keeping with the NYT brand of theatre, Mandarin adaptations of Western classics, Woo chose a text she’s been mulling over for the past seven years – Johann Wolfgang von Goethe’s magnum opus, Faust. And Woo’s adaptation of the classic tale of a man making a deal with the devil is unapologetically contemporary and uniquely her own. 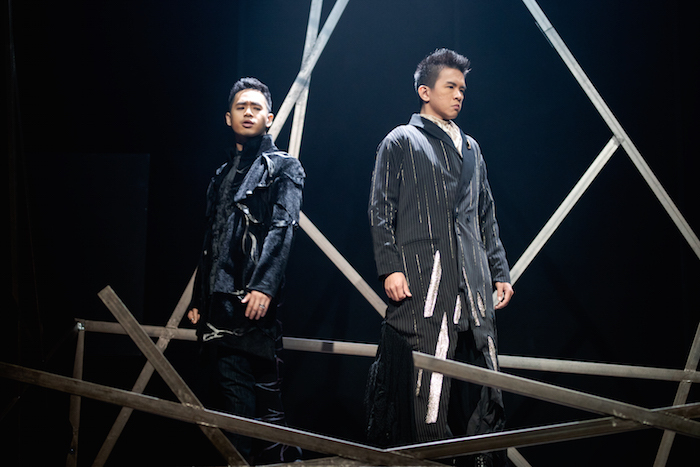 In FAUST/US, God (Hang Qian Chou) meets the demon Mephistopheles (Timothy Wan). In exchange for his freedom from God, Mephistopheles barters the soul of a remarkable person – he just needs to get it. 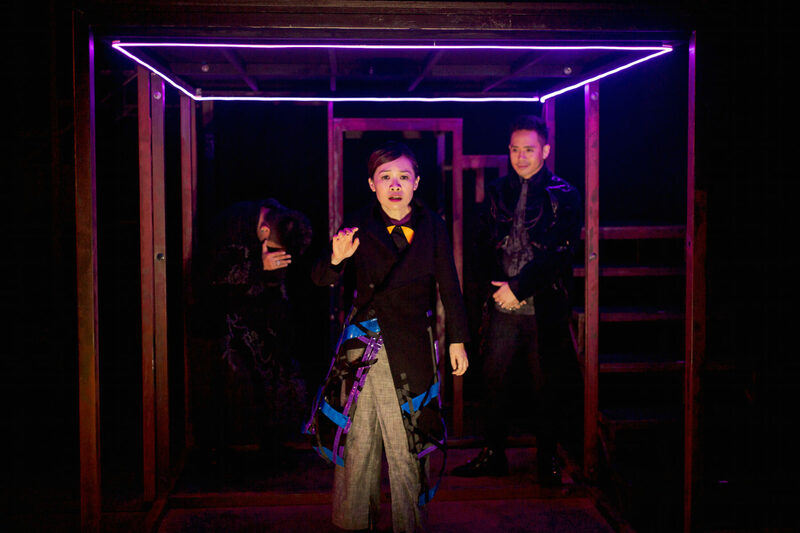 Enter Faust (Mia Chee), who is crushingly dissatisfied with her scholarly life. Appearing before her, Mephistopheles proposes to be her servant and show her all the world has to offer, on condition that if she is still discontented at the end, she will have to turn over her soul to him. Faust signs the contract and the pair embark on a journey to fulfil Faust’s desires of the flesh and heart. The play concludes with a tussle between God and Mephistopheles over her soul. Woo’s realisation of the FAUST/US universe is audacious and stark. Petrina Dawn Tan’s set is massive, a towering metal frame with three platforms linked by flights of stairs. Its immense structure carves out spaces on top of its platforms, as well as under and in front of them. 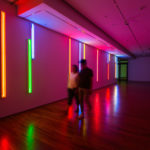 Adrian Tan’s lighting directs the eye to these various pockets of space, setting the mood simply but effectively with colour temperature and light intensity. Zai Tang’s experimental aural compositions augment the otherworldliness of the play’s supernatural settings. Together, this trio creates severe and striking renditions of the play’s various celestial and earthly settings. For example, heaven is depicted by the highest platform, crowned by nine fluorescent tubes which blaze white and buzz with divine power. There is also a complementary militaristic element to the production thanks to Loo An Ni’s costume design, clothing the actors in monochromatic long trench coats. In the climactic battle for Faust’s soul, the four actors are scattered all over the skeletal set, looking very much like a military standoff in a bombed-out building. Following in Nelson Chia’s footsteps, Woo is both director and scriptwriter for FAUST/US. She had the unenviable task of converting Goethe’s poetic verse to full prose (which in turn was translated into Mandarin by NYT ensemble member Neo Hai Bin). She was successful for the most part, crafting lines which marry natural speech patterns with the melodrama of the original. The NYT ensemble actors all turn in deft performances with Woo’s text, but I also had a sense they were slightly overwhelmed by its sheer volume. Perhaps it was a difficulty in locating rhythm in wordier segments, but I found some scenes long drawn, like the death of Faust’s companion Wagner (Hang Qian Chou), which felt belaboured by too many lines as the character expires to a fatal wound. Woo’s adaptation was also about slashing Goethe’s original two-part play, which would run for over 12 hours, to a more manageable two-hour runtime. I suspect some material on the cutting floor might explain why a few threads in FAUST/US felt poorly realised. For example, an unexplained book-burning mob becomes the murky catalyst for the final showdown for Faust’s soul. Likewise, anachronistic technologies – recording and wireless communication devices – in the production are shown to improve the lives of the villagers, but do little else to explore a discourse on innovation. Some deletions, as well as some oversights in direction, may have resulted in awkward, or even bizarre, scene transitions. For example, after Faust’s lover Grett (Neo Hai Bin) is driven to insanity and left in prison, the ensuing scene plays out on another part of the set. Even though unlit, Grett can be seen magically breaking free from his chains, celebrating his freedom with outstretched arms, and then running off set. Grett’s exit creates confounding questions which actually do little for the Faust story, such as: Did Grett perish in prison, or did he escape? Did he fake his mental condition, and if so, why? Nonetheless, these shortcomings shouldn’t take away from the fact that this adaptation of Faust is a monumental feat. And with the rich source material, FAUST/US was a golden opportunity for Woo to mould and align the work to her values and vision. Woo’s most obvious contribution to the Faust story is a feminist turn. 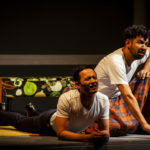 Continuing her exploration of reversing gender roles in the musical The Last Five Years with actor Ethel Yap, Goethe’s Heinrich Faust becomes Jo Faust, an academic seeking to know and control Nature. Love interest Gretchen becomes Grett, a pacifist poet who leaves his fate to God and prayer. Mia Chee portrays the female Faust with much resolution, an arbiter of her own fate who boldly commands Mephistopheles to do her bidding. A lone female protagonist in a cast of men also brings a strongly gendered dimension to the play, especially apparent in the plot of a male God and a male demon fighting over the ownership of a woman. This makes Woo’s rewriting of Faust’s conclusion so powerful – Faust capitulates to neither deity, instead reclaiming agency over her body and soul by walking away, with an acute awareness of the patriarchal game which once ensnared her life. I was also fascinated by Woo’s take on the allegorical tale of the human ego, the part of us that is constantly in search of appeasement. The ego also creates imagined limits to fuel that desire, such as how Faust bemoans being trapped in her study, or how her lover Grett refuses to leave the prison despite having keys to his freedom right at his feet. When Mephistopheles comes to collect her soul, Faust, in despair and recognition of her limitations, cries, “I don’t know!” This is the exact moment when God appears to her, and she becomes aware of how disempowered she has been in letting her ego run her life, blinding her with illusions which include her desires for recognition and to be in love. My favourite moment of FAUST/US is the scene after Faust retains ownership of her soul and returns to her study. She shifts her desk, which occupies the centre of the space, off to the side. It’s a small but significant movement that illustrates how her ego-driven pursuit of knowledge no longer occupies a core position in her life. Yet, Mephistopheles, the embodiment of the ego, lurks in the background as a yapping black dog, persistently asking to be stroked. Woo also chose a very interesting framing for Faust’s character development. Early in the play, Faust complains to Wagner about living under the shadow of her late father, the town physician, who was revered as a hero for wiping out a plague that had stricken the region. She wants to be recognised for her own merits, and not as her father’s daughter. 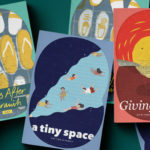 The natural trajectory of her character development would take her from chasing selfish pursuits to selflessness, which appears to be the case as she quietly goes about preparing medicine at the end of the play. But the lesson which she learns is curious – through falling in love with Grett and his poetry, and through writing a book together with him, she comes to realise that she can find contentment, not in recognition, but in the act of creation itself. It’s in this light that I view FAUST/US as Woo’s statement as an artist to the world: here is a young female theatremaker who is not out to impress, but to create. Woo must have been under immense pressure as Chia’s protégé, from having to show herself as a good student as well as a worthy artist. But FAUST/US is a triumph for Woo, who has had to adapt not just a weighty and highly convoluted classic, but also the NYT model of producing theatre, in a way that made sense for herself as an artist. She has created a work which showcases her capabilities as a director and writer, and her artistic vision. If FAUST/US is anything to go by, we can expect more exciting work from Cherilyn Woo and NYT. This article was edited on 2 April 2019 to remove a reference linking the play’s costume design to the uniform of the German SS. 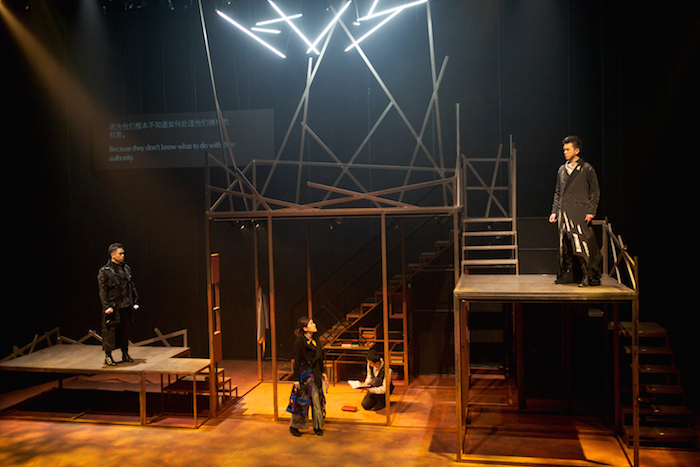 FAUST/US 浮世/德 by Nine Years Theatre was adapted – from Johann Wolfgang von Goethe’s Faust – and directed by Cherilyn Woo. 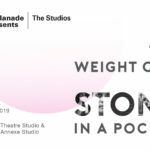 It was staged from 21 – 24 March 2019 at the Drama Centre Black Box. 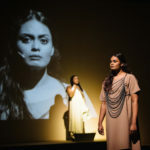 This review is based on the performance on 21 March 2019, 8pm. 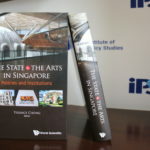 Guest Contributor Daniel Teo is the Research and Documentation Executive at theatre development space Centre 42, where one of his key duties is to document Singapore theatre history through the Centre’s digital archive The Repository. Outside the Centre, he records his audience experiences in theatre on Instagram (#dantheatre2019). Hi Daniel, I’m not sure what you are trying to suggest when you say that the costumes are “reminiscent of German SS officers”. Have you checked if this was the artist’s intention (I don’t think it is) or have you simply made this connection on your own? Have you drawn this parallel because Goethe was German? If so, I would kindly ask you to consider the stereotyping you have made. Hi Y, oh my gosh! I didn’t intend for any other connections beyond the militaristic visual and the German link. I totally overlooked that. Thanks for pointing it out and apologies to anyone who might have been offended! 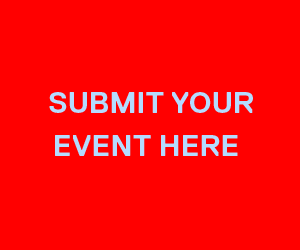 The essay will be amended to remove the reference.